Windows Reseller Hosting Plans in India, Best Windows Plesk Reseller Web Hosting Packages. Now you have the power to have your very own Web hosting company with our PLESK Windows2014-16 servers. Can I use my reseller account for commercial purposes? Yes, you can use your reseller account for the commercial purpose as in reseller you can host multiple websites and each website has its own control panel. You can charge money to your clients according to your need and there is no need to take separate hosting for each client to wasting your money. How can i manage my reseller panel in windows hosting? 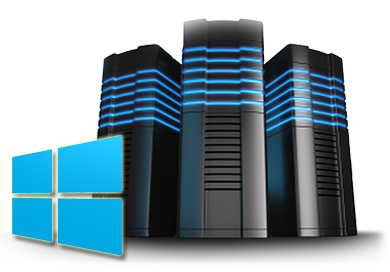 You can manage Windows Reseller hosting through plesk panel which is just like cpanel. Here you can create customers and assign subscription to that customer. This can give separate Plesk panel access to your client and you can easily manage the entire website hosted under your reseller account. If accidently i lost my database then how can i get backup? How much you charge for this? Yes, you can get database backup and for that you have to raise a ticket to request backup of your database and we will provide it to you. There are no charges for this. Do you provide remote MSSQL database and MySQL database connection? We only provide remote connection for MSSQL database. We do not provide remote connection for MySQL database. How billing should be handled for the reseller account? As a reseller it's your responsibility to collect payment from your clients. We only provide invoice for your reseller account according to your billing cycle.